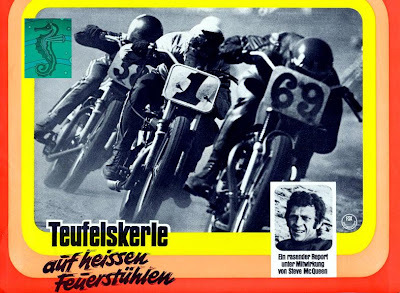 Cool German HA lobby cards from Ebay! 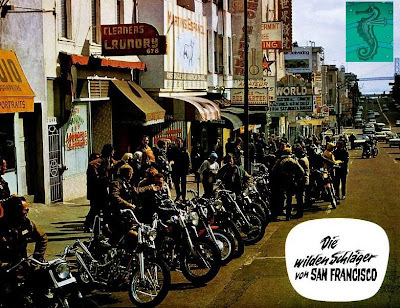 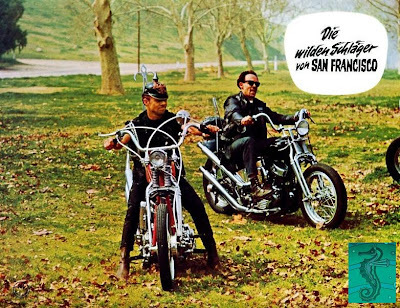 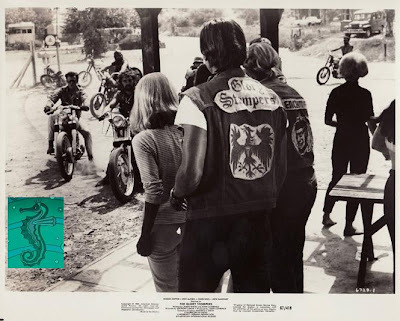 Here are some killer original German lobby cards from "On Any Sunday" from Ebay auctions! 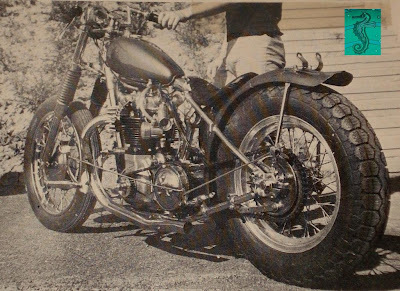 Ok, thanks to Jason this tire is an Avon 50s/60s Salt Flat Racing tire and the two photos above came from AAOK's auction where this buy-it-now price is $1250. Yikes. 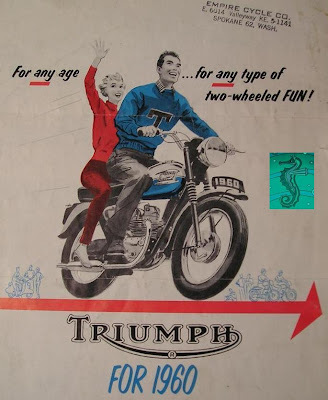 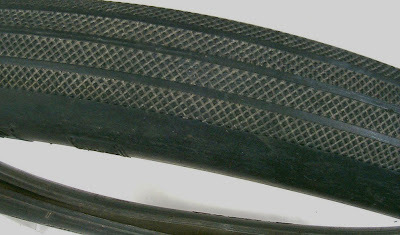 Very awesome tire with cool tread pattern nonetheless!!! 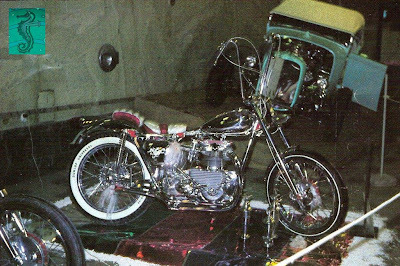 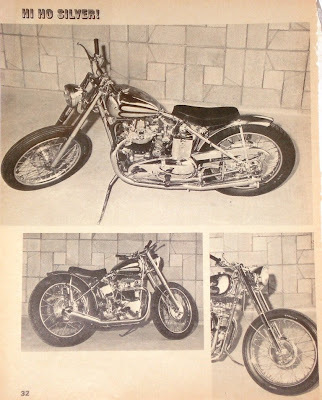 Ok, here's the scoop from Stefan, this bike was a Swedish build by a guy named Torsten Fritz and the above version was the early 1960s. 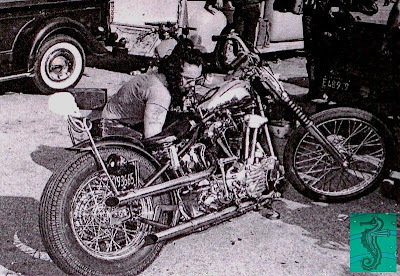 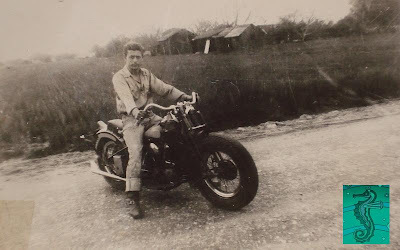 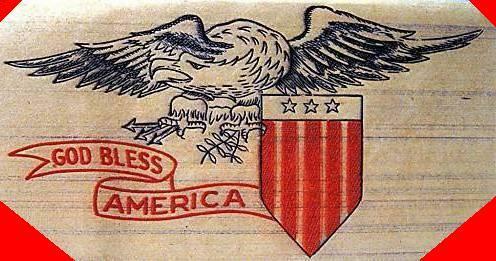 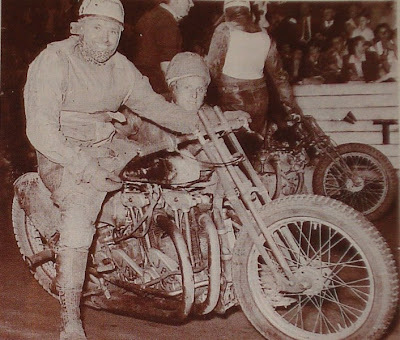 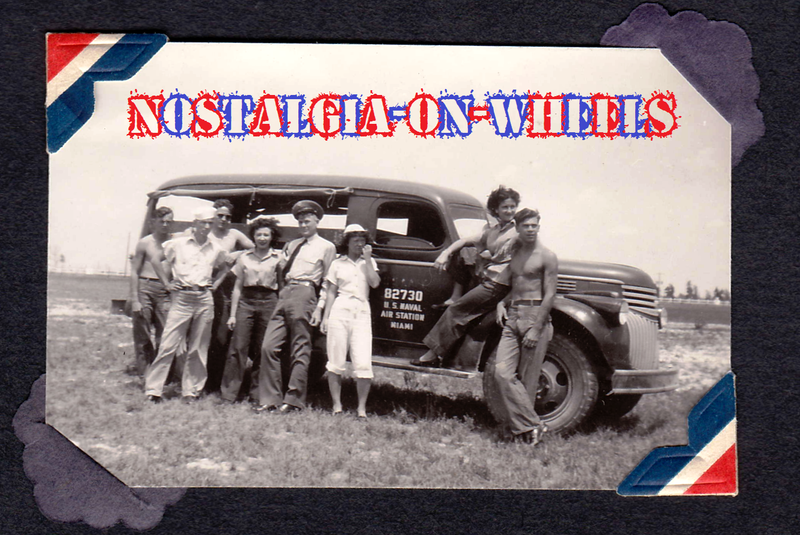 Check out this early killer photography of a bobbed knucklehead out in the country! 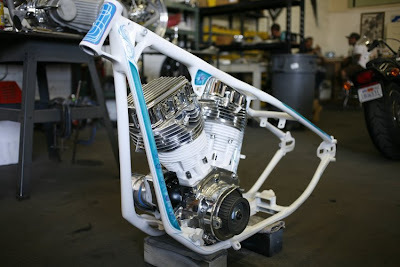 This one came as a gift from Gabe! 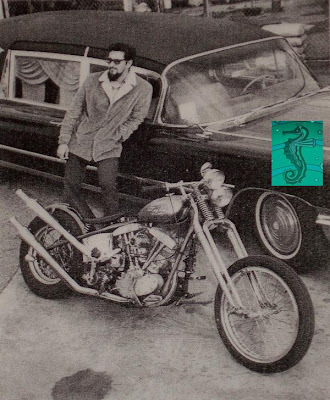 Thanks a millon Gabe! 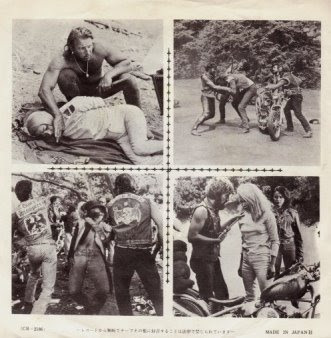 What a cool Japanese single and sleeve from the Glory Stompers movie currently on Ebay and its a great song too! 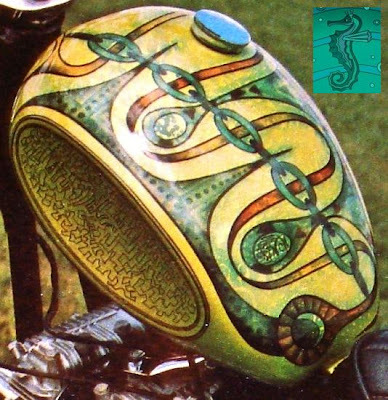 This helmet is pretty insane. 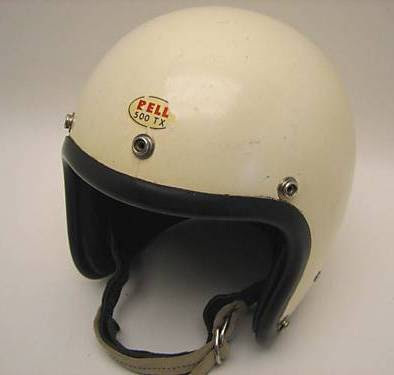 I was just looking around on Ebay and wow, this has got to be the oldest 3/4 style Bell Helmet I've ever seen! 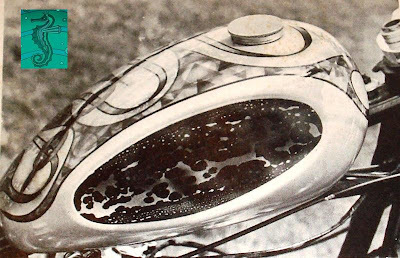 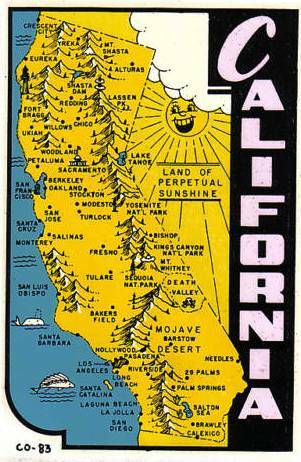 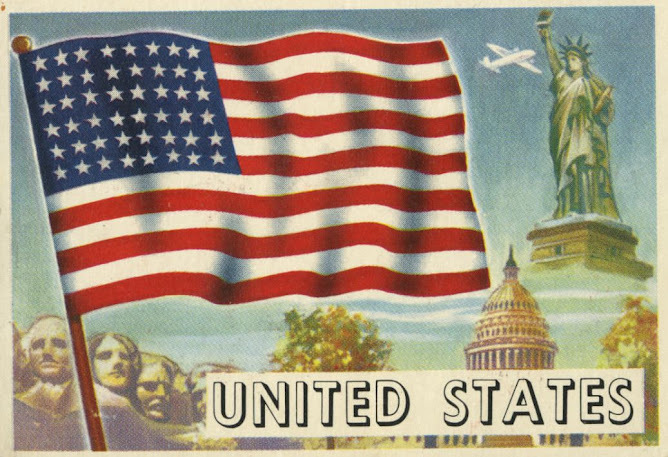 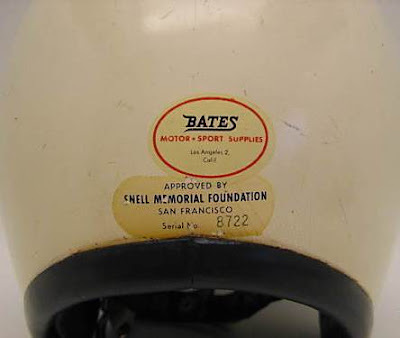 What's even cooler is the early 60s Bates waterslide decal on the back. 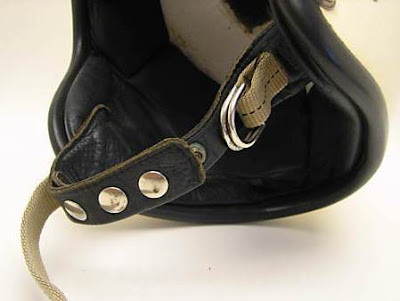 Plus, check out the double staps with leather underneath, probably for comfort, and nylon on top for added security! 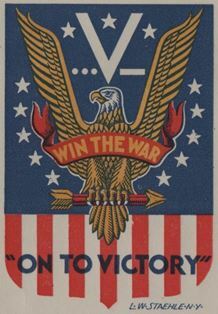 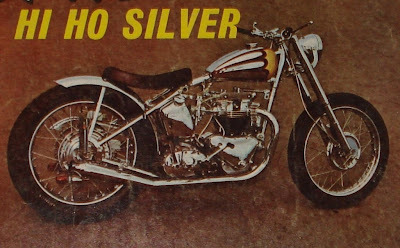 I'm sure this one will go for well over $500 and is a likely candidate for the Garage Company display case! 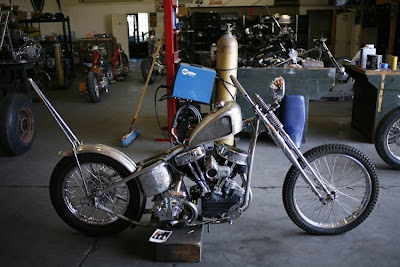 Gunkit Shovelhead - Straight Outta Compton! 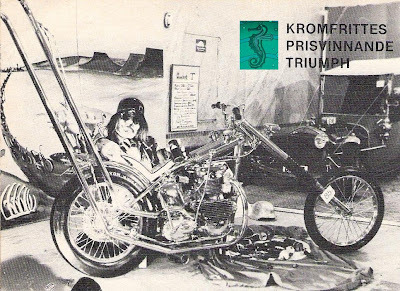 Knuckle 4 Street N' Strip! 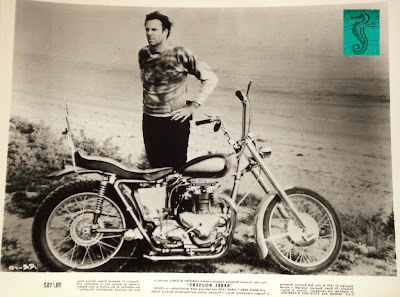 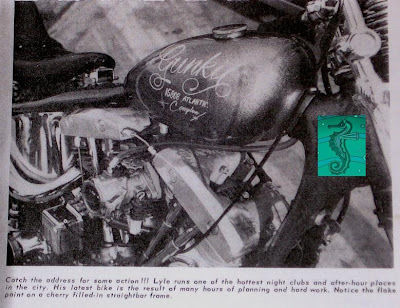 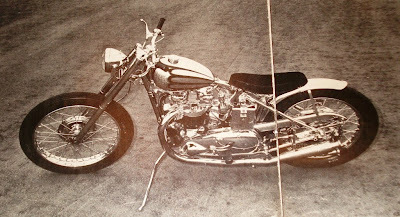 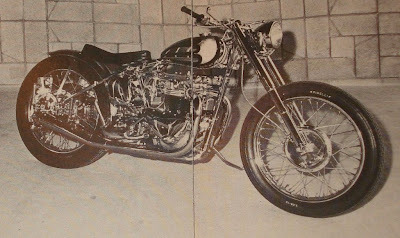 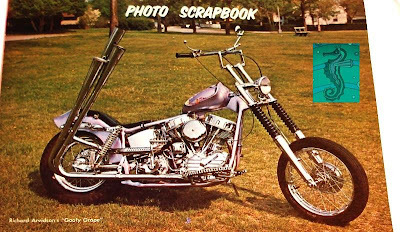 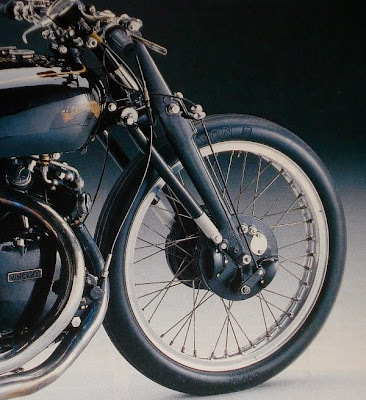 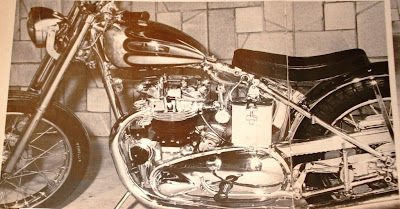 Bruce Dern's Trumpet in "Rebel Rousers"
I've watched Rebel Rousers over and over to get a good feel for Bruce Dern's awesome swingarm pre-unit but couldn't really get a decent picture until I found this photo still on Ebay. 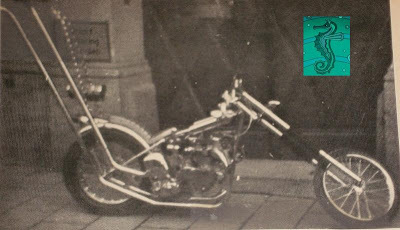 Unfortuantely the movie still shows the bike inverted, with the timing cover on the left side so I flipped it on the computer so you can see how the photo was really meant to go! 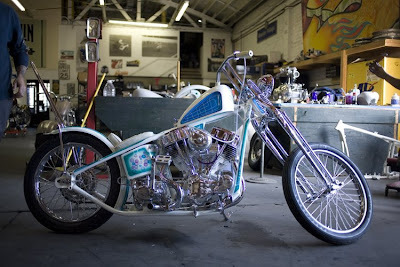 If you haven't guessed by now, I love this bike! 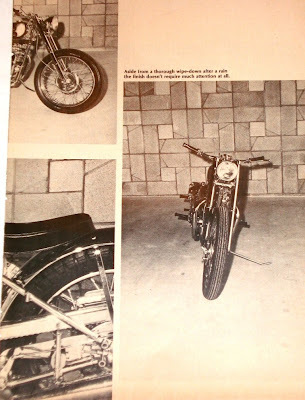 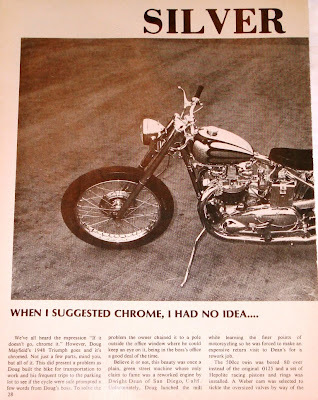 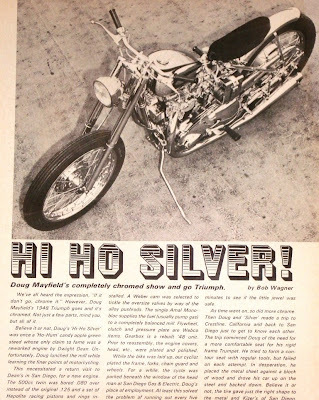 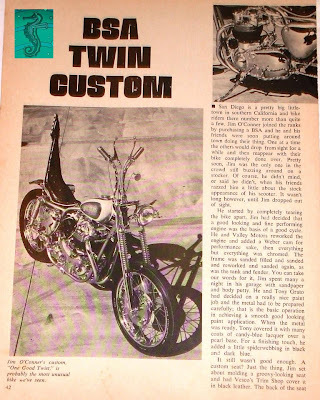 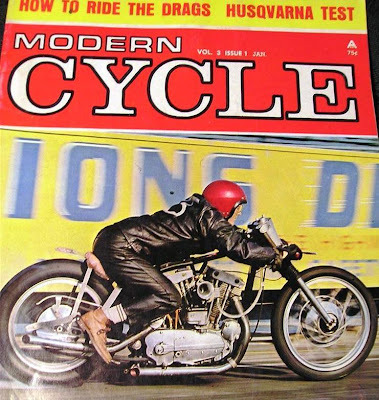 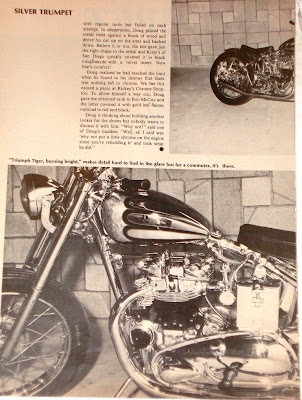 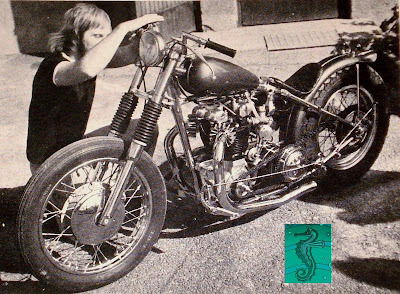 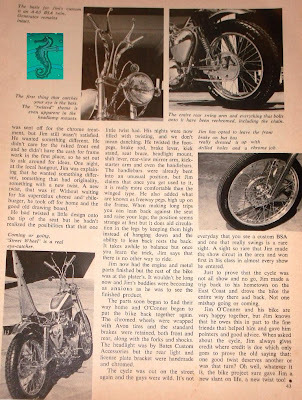 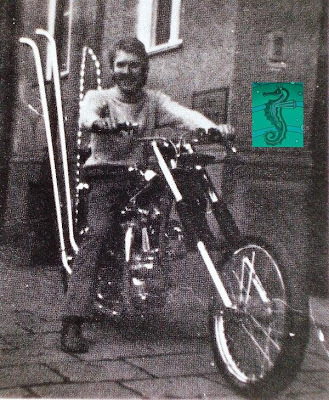 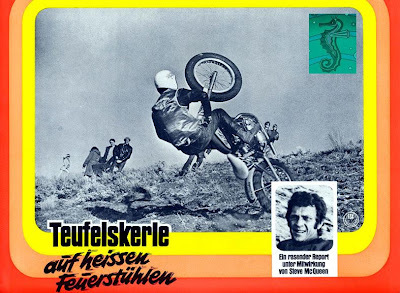 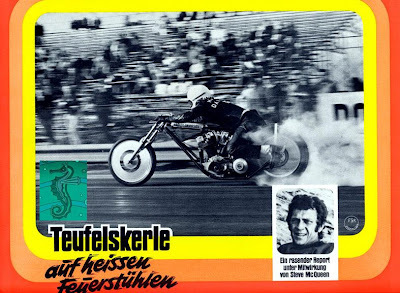 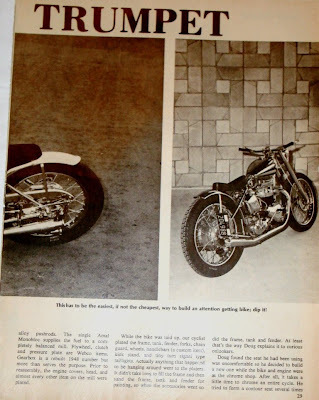 Nice sportster drag bike on the cover of a 1968 Modern Cycle Magazine on Ebay. 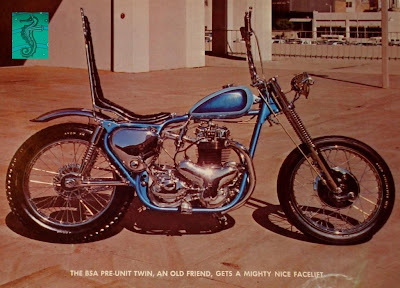 That small little aluminum fender strip doesn't look as if it would be too protective but I'm sure its super light!